Our Mission is to promote, educate, organize and equip leaders in each Voting District to organize Voter Registration drives and assist in the Election Day process at the Polls. To help ensure a Fair Election in each Voting Precinct or Poll by ensuring that ALL voters are treated fairly according to Election Laws in each state. Furthermore, to ensure ALL voter’s rights and freedoms are protected with no fear, influence or intimidation from ANY individual, group or organization. To train leaders and volunteers on procedures and techniques to document and report any suspicious or unusual activity of any individual, group or organization inside and outside the legal boundaries of the polls according to the Election Laws in each District. 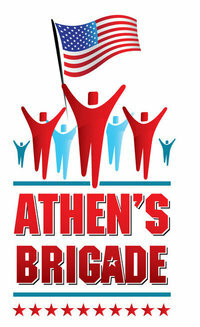 Athens Brigade was established to not only provide resources and tools for leaders involved in the election process, but also to give concerned citizens a central network to share ideas and concerns and communicate with leaders in not only their own town, but other communities as well. Regardless of which side of the issue you are on, we ALL have the right to our opinion and have the right to VOTE based on our personal convictions. We should respect those rights for all and make sure that the process is not manipulated or corrupted. Athens Brigade will help locate, train, and support poll workers and poll observers across the country, assist with grass roots information on how to get churches involved, organize voter registration drives and develop local leaders to run for local offices like school boards, city councils, etc. This November election cycle we will see all 432 seats in the House of Representatives and one third of the seats in the US Senate come up for re-election. It is vital that “We the People” not only vote, but get involved in the political process to assure that each candidate sent to Washington next year recognizes the fact that we were each created with two ears and one mouth. If they can’t master the art of listening, they should disqualify themselves from seeking to be a “voice” for the people.